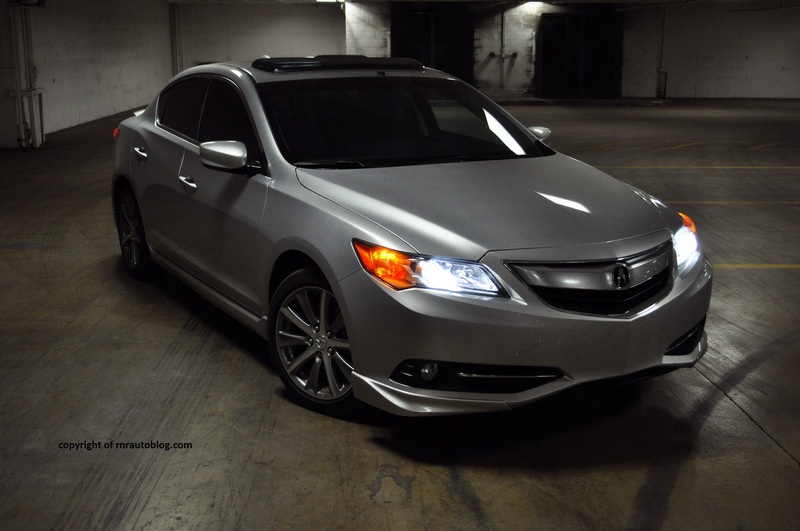 Even though the ILX is basically a rebadged Honda Civic, it is hard to tell. Look at the front, and immediately you notice the beak. I’ll explain: the “beak” is a name for Acura’s controversial grille design which consists of a metal bar that runs across the whole grille. 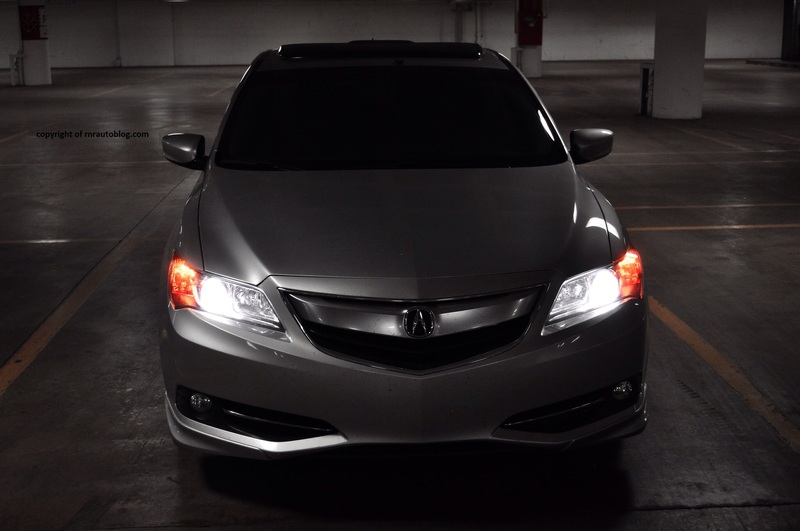 On the ILX, the subtle “beak” blends in nicely with the sharp headlights. The flourish of the lower bumper give some excitement to the design. It is nicely restrained yet attractive. Acura has tried very hard to distinguish this from the Honda Civic, and it becomes readily apparent when you notice the side profile. The side profile is the most visually interesting aspect of the car yet my least favorite. With its swooshes and character line, there is some visual interest, but my distaste lies in the roofline. The roofline meets the trunk which creates a short rear overhang (Short rear). 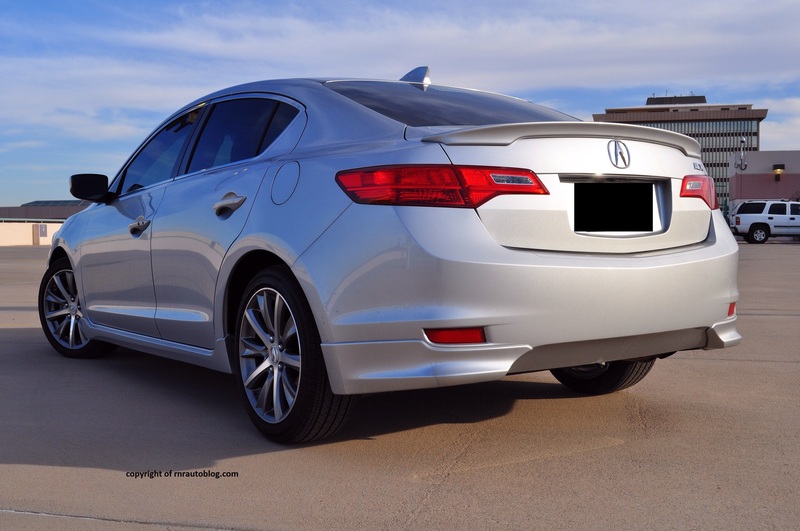 This effect makes the ILX look stubby towards the back. The back is as cohesive as the front, although I could do without the spoiler. The optional diamond cut wheels aid this car’s appeal. The interior is stark in terms of colors, but the piano black finish on the controls cluster and the splashes of chrome give it a high quality appearance. The red push button for engine start is a nice and sporty touch. 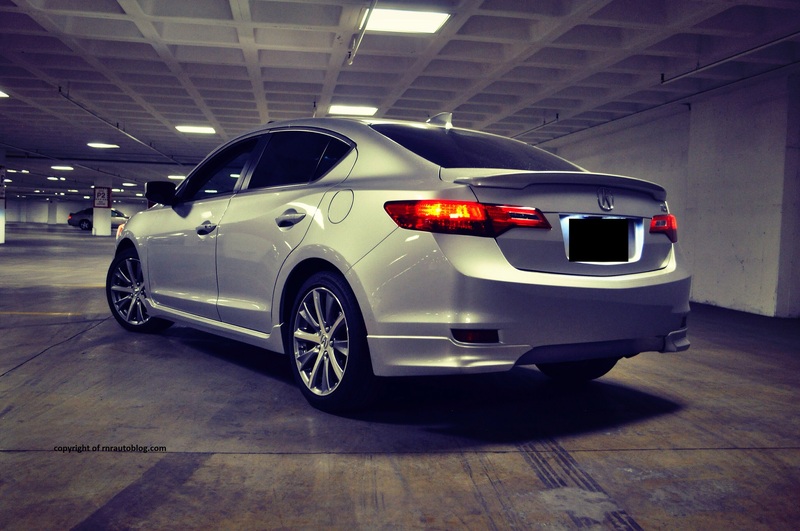 Dynamically, the ILX is competent. The steering is light at low speeds, but it weighs up gradually as speeds rise. It is quick and responsive. The only thing wrong with the steering is the lack of feel. Coming from Honda and Acura vehicles growing up, the only reason you would choose a Honda/Acura over a Toyota/Lexus was because of how much more fun Hondas/Acuras were to drive which boils down to their composed handling and communicative steering. 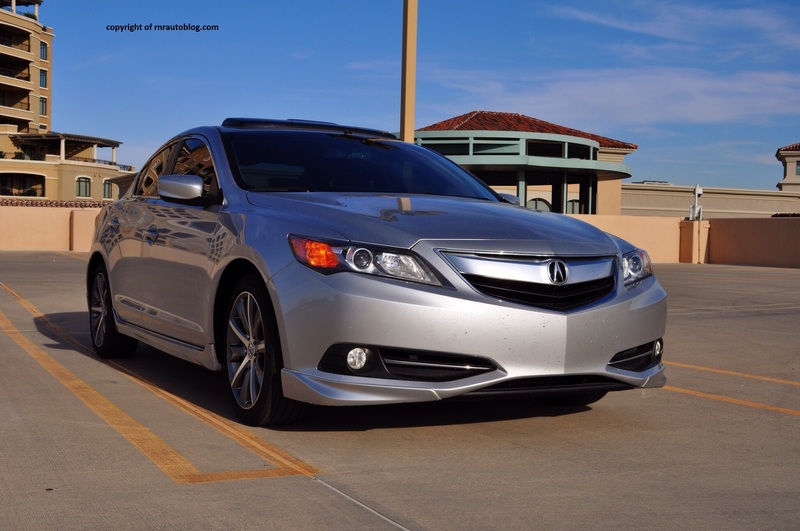 Regardless of the steering, the ILX is fun to drive. 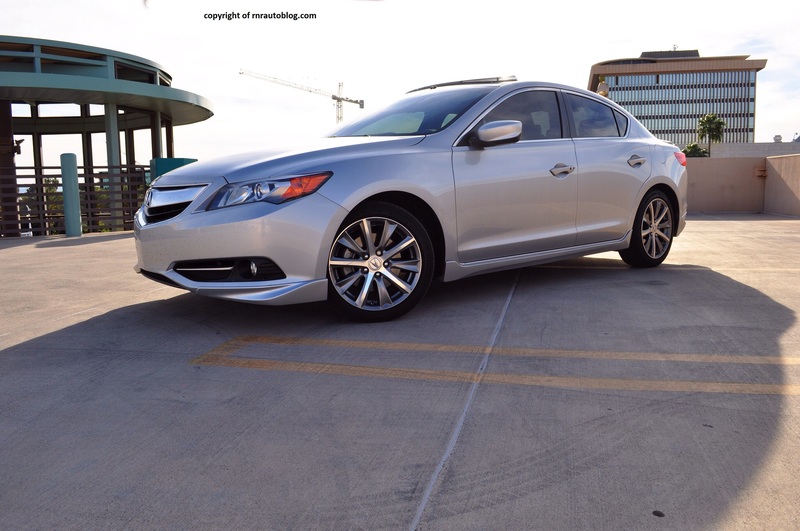 The compact dimensions and modest body lean allows the ILX to carry a lot of speed in corners. On a twisty road, it remains stable and agile. Save for the steering, it feels a lot like the Integra once you push it. When you do push it, it is very responsive with a balanced chassis. However, the ride is choppy. Even on smooth roads, the ride never really settles. 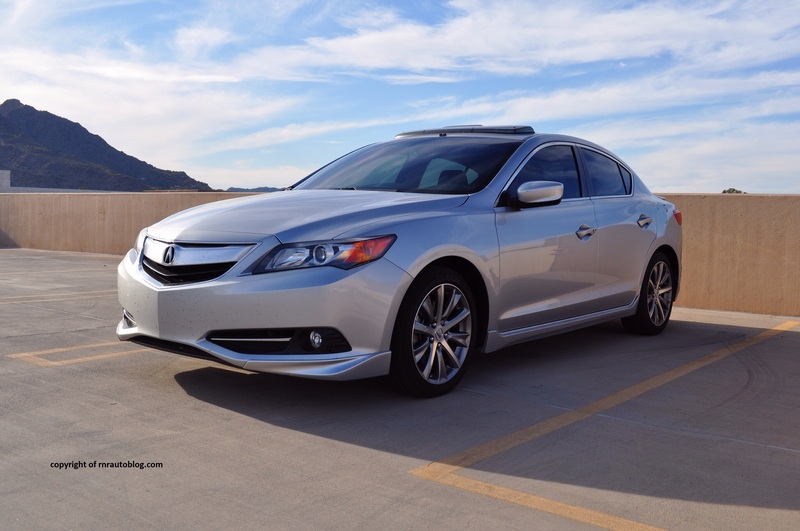 The ILX’s powertrain closely mirrors that of the Honda Civic’s, meaning the ILX comes with a 115 horsepower 1.5 liter four cylinder hybrid, a 150 horsepower 2.0 four cylinder, and a 201 horsepower 2.4 liter four cylinder engine. This ILX comes with the 2.4. The 2.4 is carried over from the Civic Si. This engine loves to rev all the way to its 7,000 rpm redline, and acceleration is quick. Previously in the Civic Si, this engine was criticized for its lack of grunt at low revs. In 2012, this engine was reworked to provide more grunt at low revs while reducing its rev line from 8,000 to 7,000. 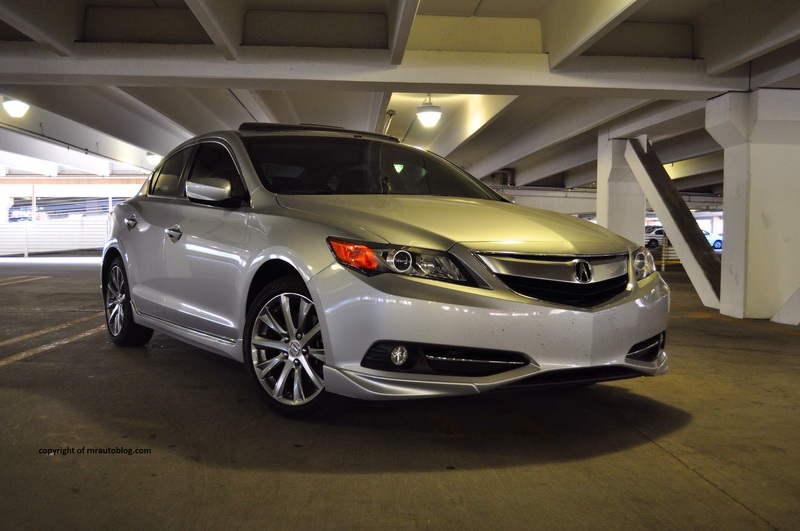 In the ILX, this change pays dividends to its flexibility. It is very responsive as there is no reason to downshift to a lower gear unless you absolutely have to. This engine is paired exclusively to a six speed manual transmission (save the manuals). 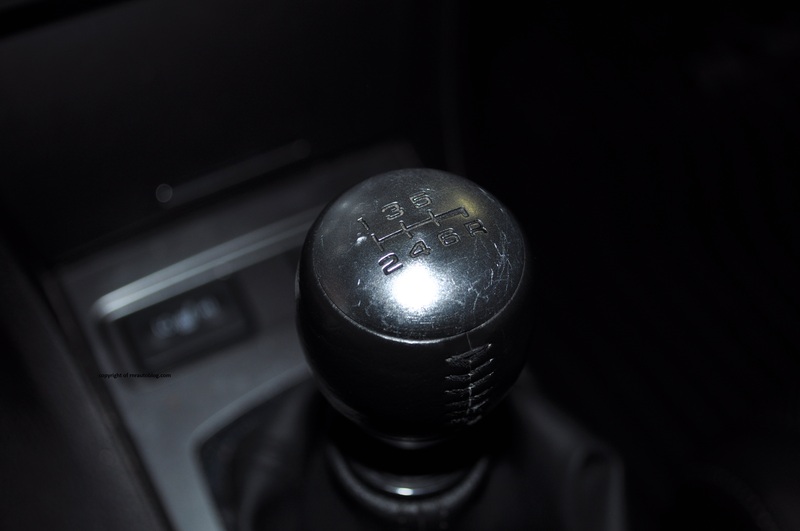 In typical Acura fashion, the manual shifts like butter. The clutch’s great feel and response make this a great car to learn to drive manual in. The only problem with the transmission is its gearing. At 50 mph, I was in sixth gear just to keep it below 2,500 rpm. At 70 mph, it is at 3,000 rpm which increase engine noise more on that later. But this gearing does make the ILX feel peppier in traffic. Even with this gearing, fuel economy is fantastic at around 27-30 mpg overall. 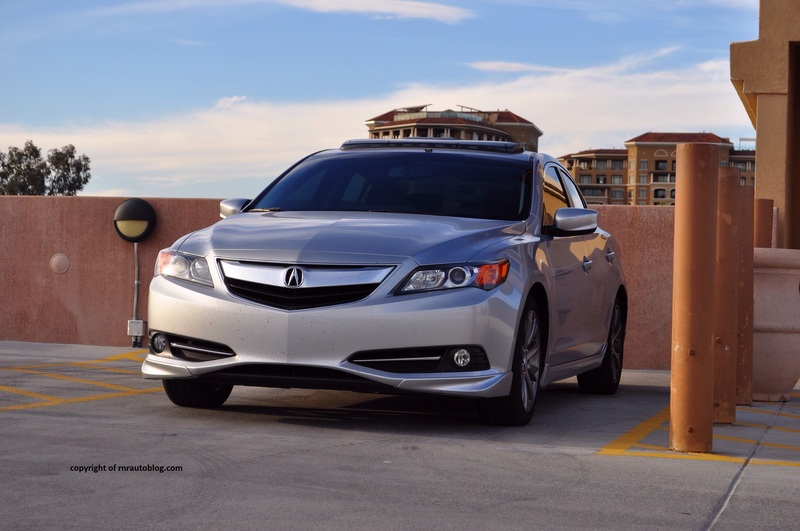 Acuras always suffer from road noise, and this ILX is no exception. Poor road surfaces exacerbate road noise in the cabin. The aforementioned gearing also increases engine noise which can be tiring. The 2.4 loves to rev as it has a characterful whine when pressed. The cabin features flawless fit and finish with an interior that is miles better than the Honda Civic. In contrast to the Civic’s split tier and digital gauges, the ILX features a more conventional arrangement with easy to read gauges. The controls are very intuitive as it is easy to understand the radio and climate buttons at first glance. The seats’ decent bolstering keep you in your seat during hard cornering, and they are comfortable overall. The firm support may not suit everybody. During the drive, I kept shuffling around because I did not have any lower back support. There is no lumbar adjustment which can impede your ability to find a good driving position. Thick pillars restrict your rear visibility. The rear seat is roomy enough for two people, but with three people it is cramped. Access is adequate, and the trunk is a fair size. Cabin storage is decent as there are many storage places for your items. It is no secret that current Acura is not like Acura from the 1990s. In the 1990s, Acura made a name for itself with the Legend and the Integra, not to mention the NSX and the RSX. 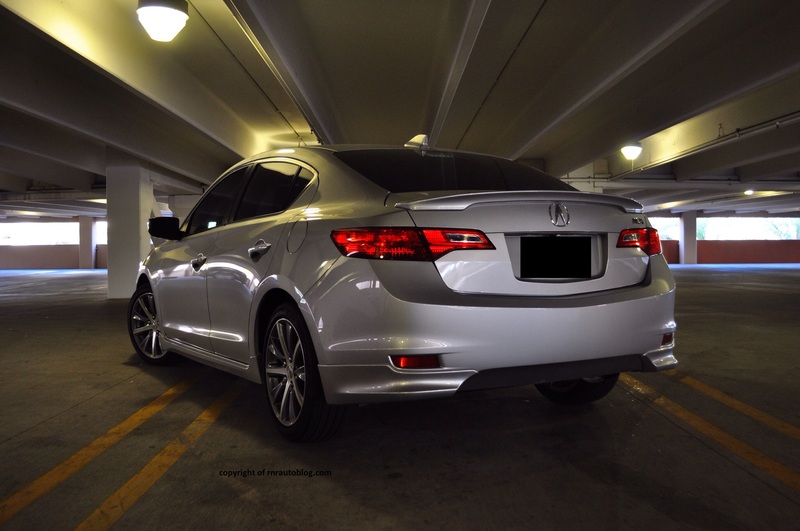 I have always been surrounded by Hondas and Acuras growing up, so I could not help but be biased towards the ILX. You could say I’m an Acura purist. My realistic dream car is a 2004-2008 Acura TL, and I lament how Acura has gone from a sporty and unique automotive brand to a Lexus wannabe. By Lexus wannabe, I mean they have stripped down their fun to drive handling for a softer and luxurious image. So when I approached the ILX, I said to myself, “It has the beak. It is not an Integra. It is not the Acura that I love”. But when I got in the driver’s seat, my feelings changed. Sure, it may not have the steering feel that Acuras are known for, but it still feels like an Acura. The ILX could have differentiated itself from the Civic better by offering greater value for the money and different engines, but the important stuff still reminds us that it is still an Acura. 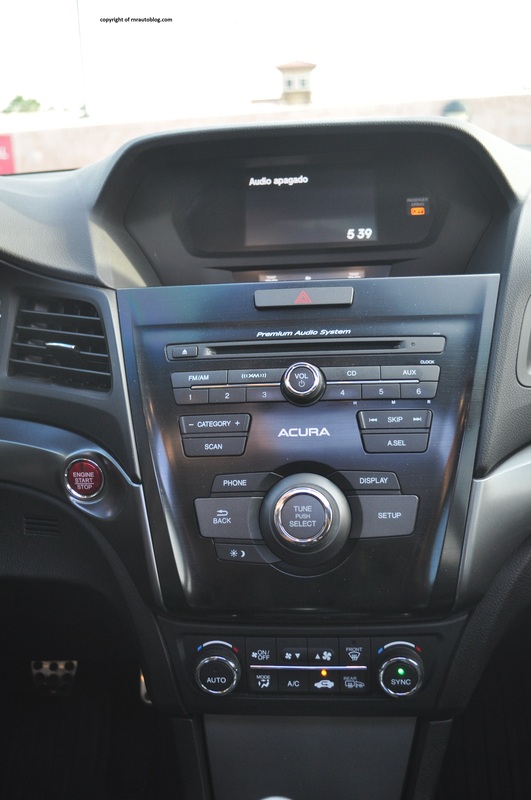 I loved driving the ILX with its manual transmission, joyful engine, well made cabin, and all the usual Acura virtues. 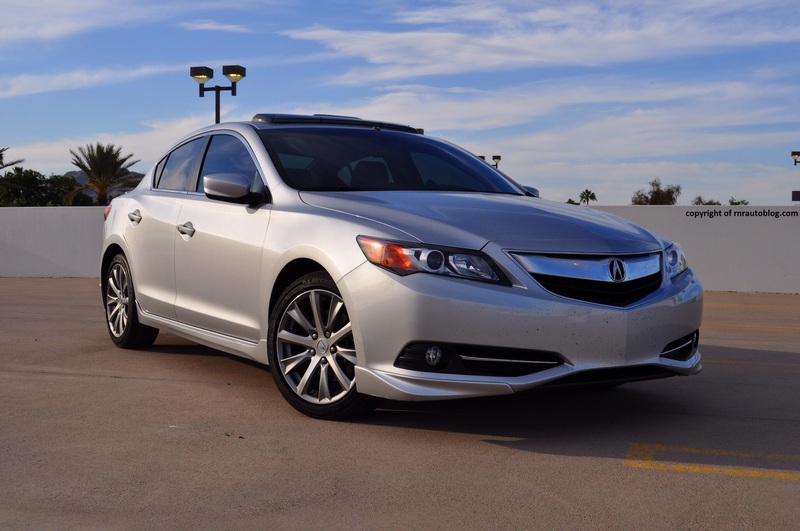 The ILX is proof that Acura wants to be Acura again. Thanks for putting this together, Ruben! 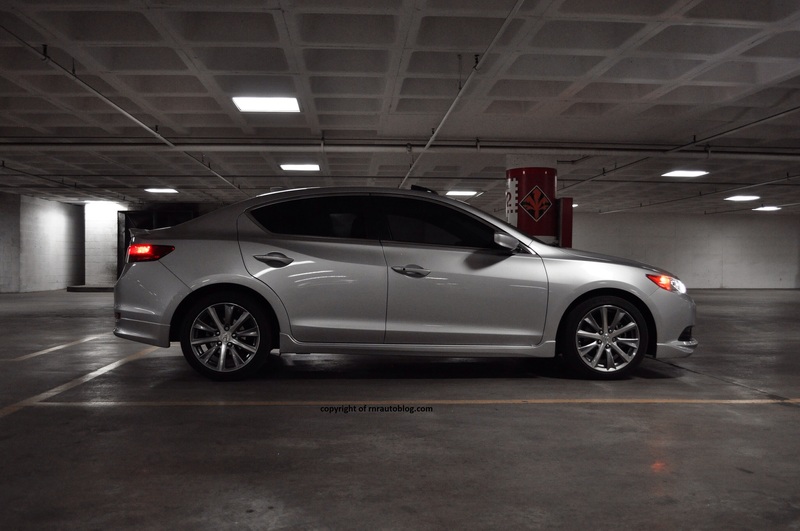 Your pics are phenomenal and your assessment of the ILX is spot-on. Thank you for letting me review your car 🙂 I enjoyed it! The TLX seems like a really nice car! The lack of a manual transmission puts me off however.